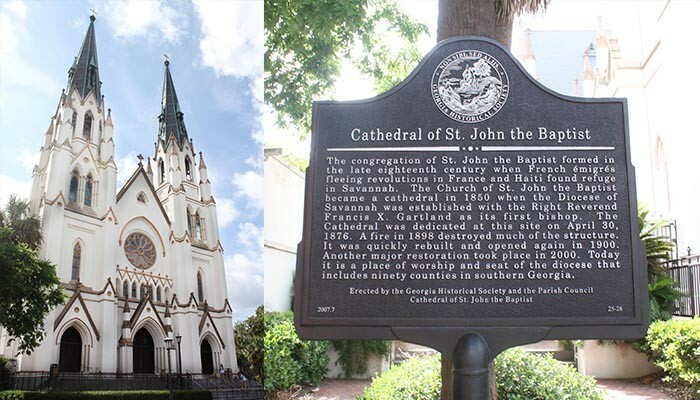 There are many awe-inspiring places of worship all throughout Georgia’s First City, and a trip here would not be complete without visiting a few. 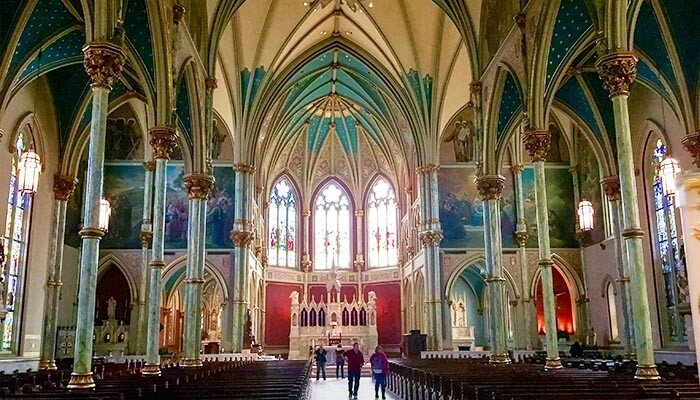 None are quite as magnificent as Lafayette Square’s Cathedral of St. John the Baptist, which has two magnificent bell towers that ring out the hour, beckoning Catholics and non-Catholics alike to venture through its echoing aisles. 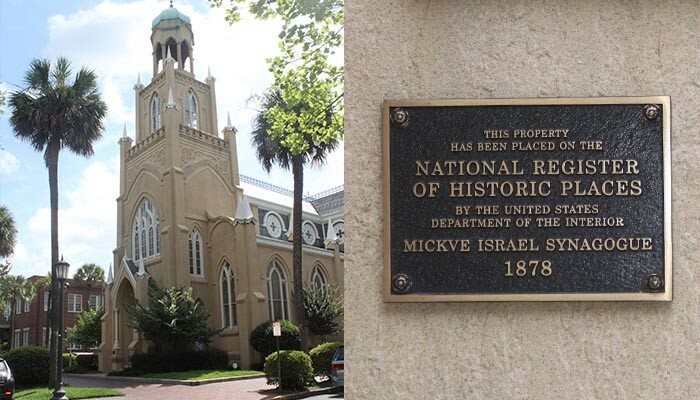 Just south of this cathedral, off Bull Street, is Savannah’s Temple Mickve Israel, the third oldest Jewish congregation in the United States, which dates back to 1733. 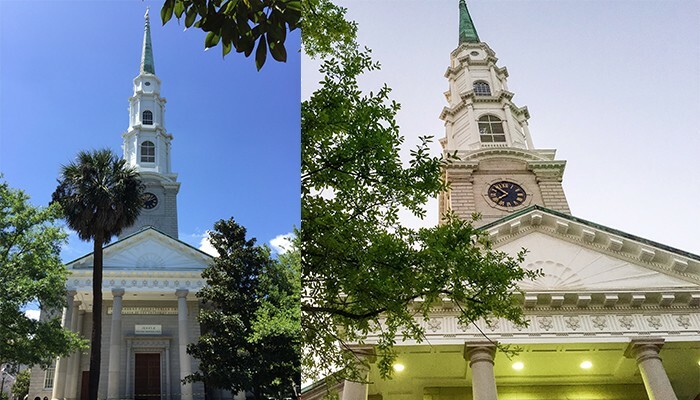 While there are many tall spires around town, none are quite as famous as Independent Presbyterian Church, which was featured in the opening credits of “Forrest Gump.” Founded in 1755, the Independent Presbyterian was acknowledged as the mother church of Georgia’s Presbyterians. But that’s not all! 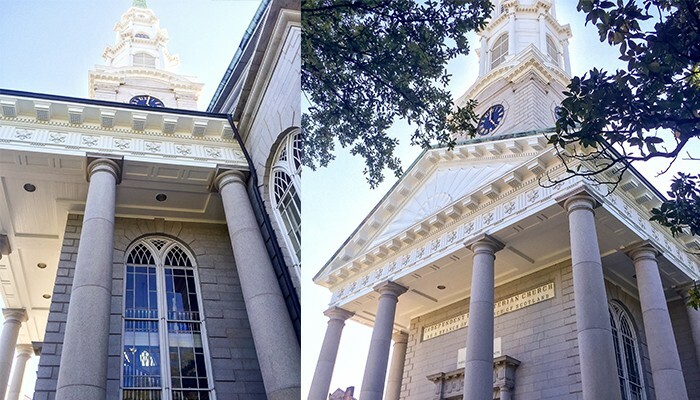 Don’t leave without first stepping inside of First African Baptist Church, which is considered one of the oldest African-American Congregations in the country, even though the physical church was not completed until 1859. 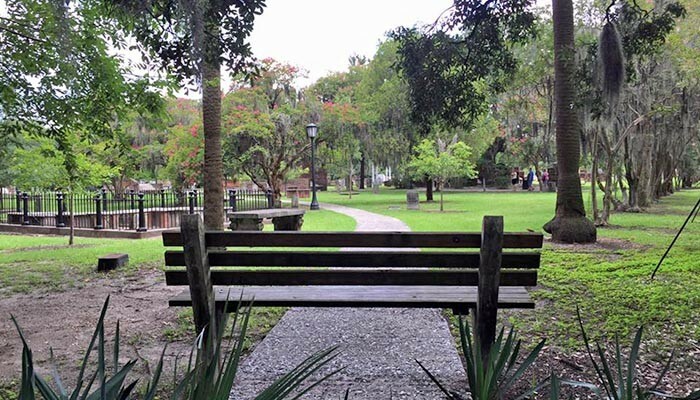 Walking on brick sidewalks under the cover of live oak tree canopies dripping with Spanish moss would not be as amazing without all of the historic homes and stunning estates side by side. 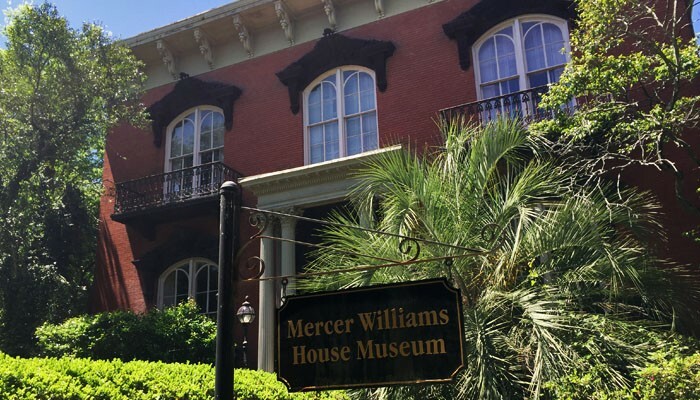 Some of these antebellum mansions in Downtown Savannah were even transformed into museums so visitors and locals alike could go inside and explore. The lovely Federal-style Davenport House is such a place, which was occupied by mobile artisan Isaiah Davenport and his household of children and slaves until 1827. 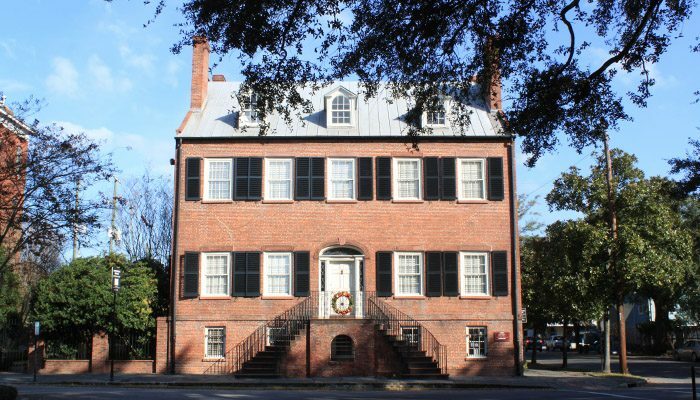 Today, the Davenport House operates as a historic house museum by the Historic Savannah Foundation. However, it’s not the only home that was transformed into a museum; the Green-Meldrim House was as well. 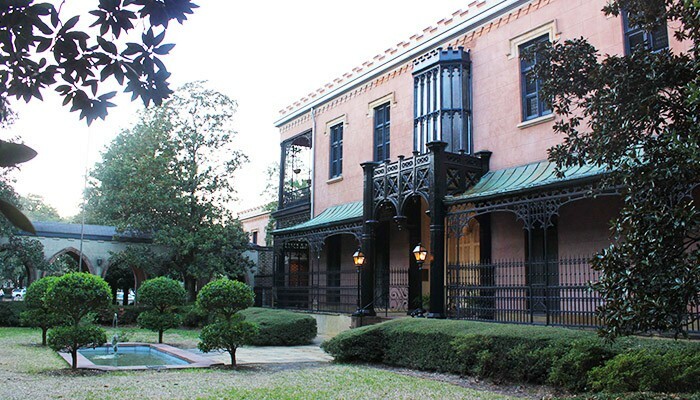 Built for Mr. Charles Green, who came from England in 1833, Savannah’s most expensive 19th century home was where General William T. Sherman wrote the famous telegram to President Abraham Lincoln, sparing Savannah from his destructive March to the Sea. 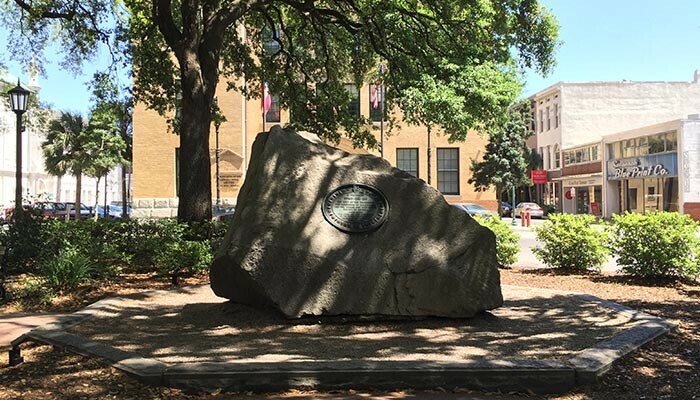 All girl scouts in town must make it a point to stop by the Juliette Gordon Low Birthplace, the most famous National Girl Scout Program Center in the world, to learn about and honor the life of their founder, Juliette Gordon Low. And don’t miss the Mercer Williams House, famous for its starring role in John Berendt’s New York Times bestseller, “Midnight in the Garden of Good and Evil,” which is said to be haunted by several of its former occupants, including the home’s private restorationist Jim Williams, a central character in Berendt’s novel. 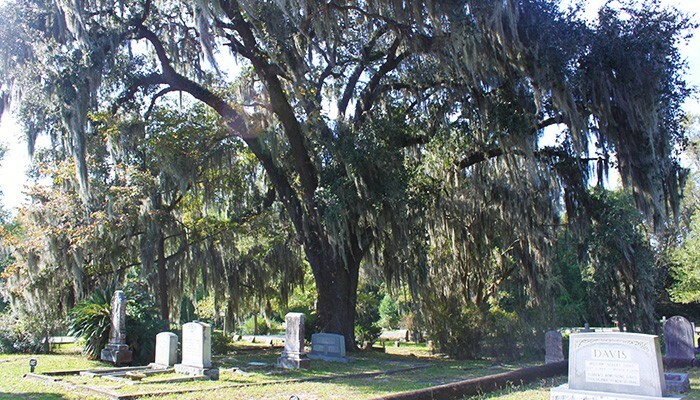 Many a dead men have called Savannah their final resting place, and some say their spirits still linger. 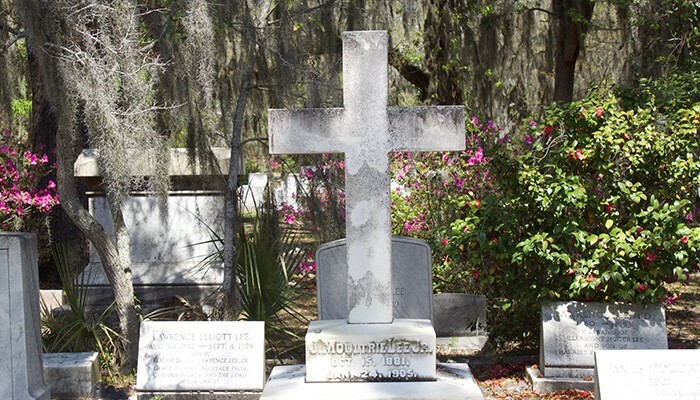 Whether it’s a tour or an adventure of your own, you can’t leave “America’s Most Haunted City” without first visiting her cemeteries. 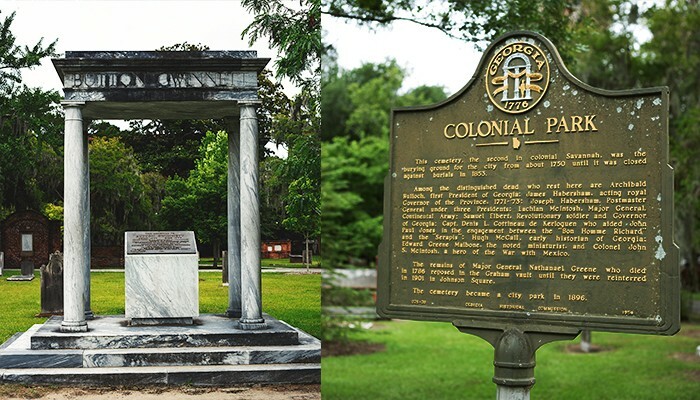 In the heart of the Historic District is the Colonial Park Cemetery, founded in 1750 and home to many of Savannah’s earliest citizens, amounting to over 10,000 graves, making it an especially popular spot for local ghost tours. 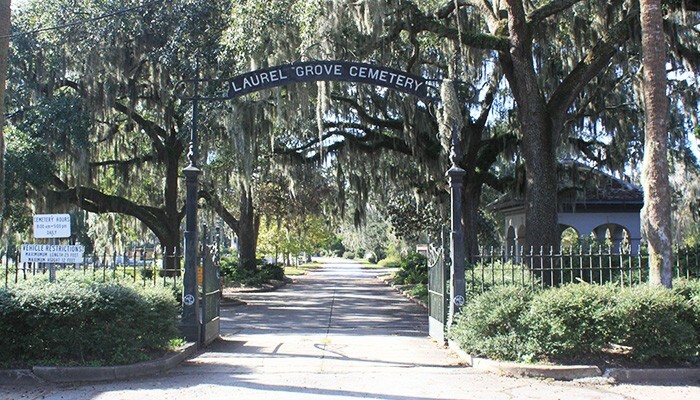 Just outside of Downtown Savannah, the Laurel Grove Cemetery, named for the native laurel oak trees that thrived on the burial grounds, is divided into a North and South section. The 90-acre Laurel Grove South Cemetery, on Kollock Street, is the most significant final resting place for African Americans who died in the 19th and 20th centuries, while the 67-acre Laurel Grove North Cemetery, on West Anderson Street, features an entire section dedicated to the Civil War dead, with more than 1,500 Confederate soldiers and eight generals. 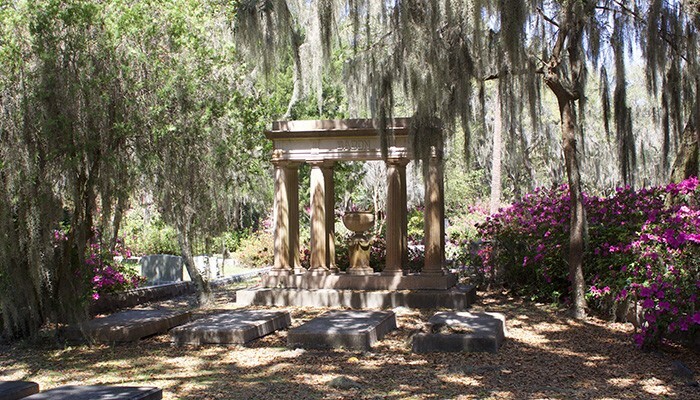 If you only have time to visit one cemetery in Savannah, make it the 100-acre Bonaventure Cemetery. 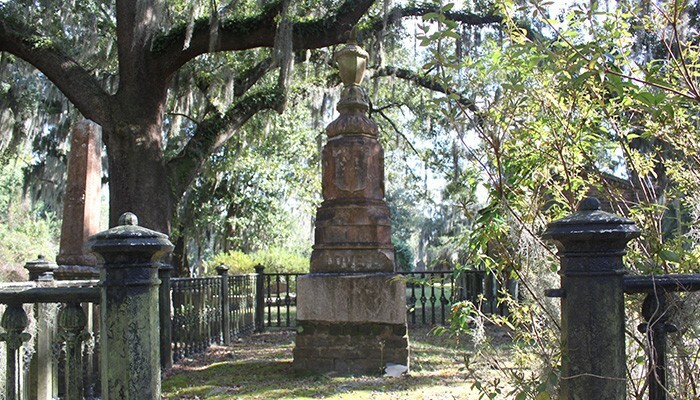 Bonaventure (which translates to “good fortune” in Italian) is not only expansive, but also beautiful and peaceful, with several acres overlooking Wilmington River, filled with beautiful live oak trees shading thousands of graves. 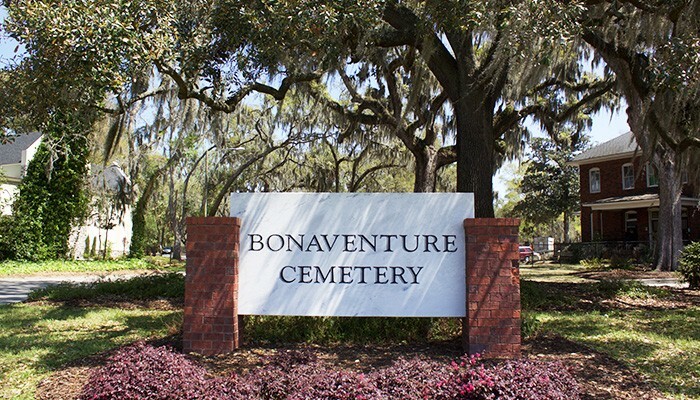 Interment rights can still be purchased from Bonaventure, but for those just wishing to visit, the cemetery is open to the public daily from 8 a.m. to 5 p.m. 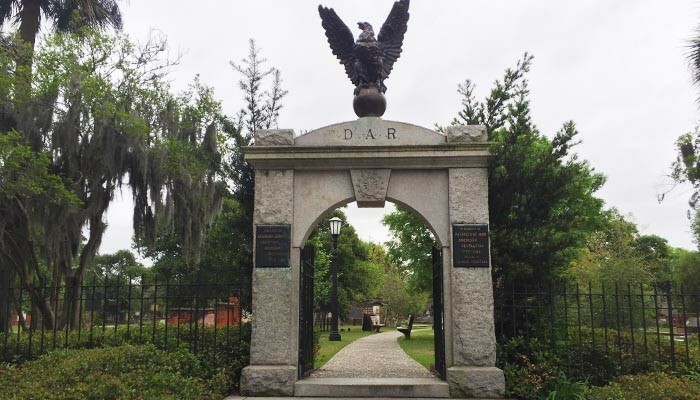 In search of history about the wars fought in Savannah? 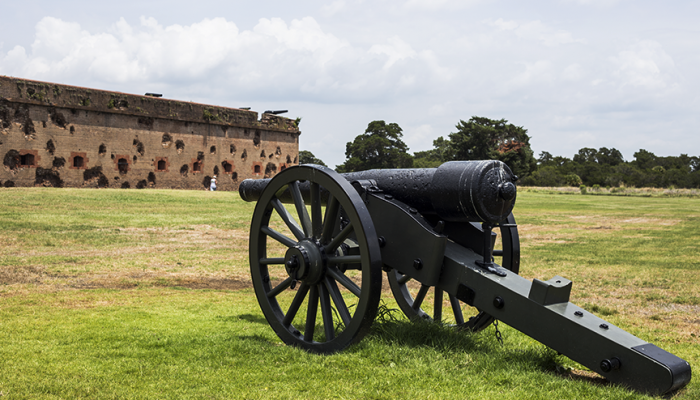 There’s no better place to learn than the three historic forts around the city. 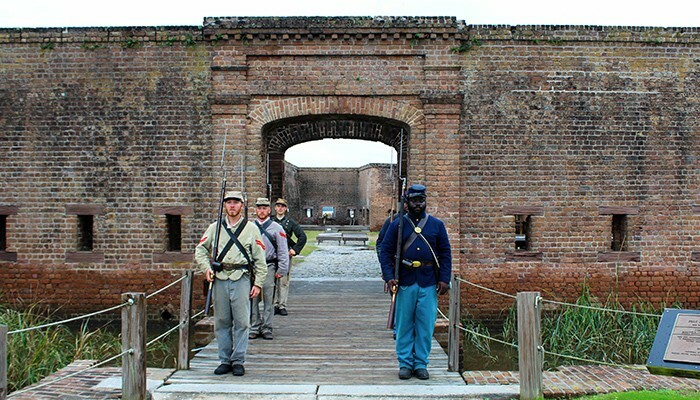 Fort Pulaski is the most popular, located at the mouth of the Savannah River on Cockspur Island between Savannah and Tybee Island. 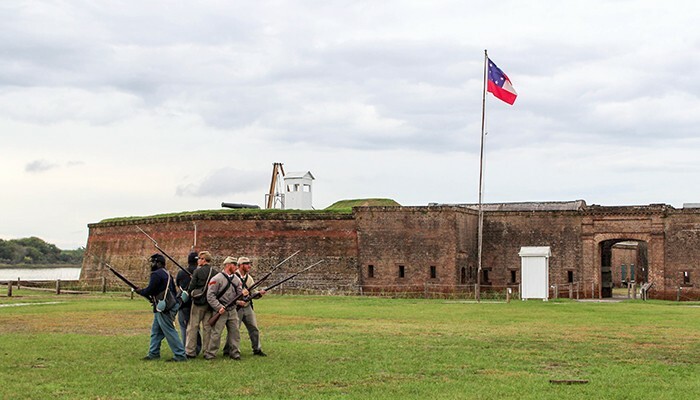 The fort served as an active base for the Union Army during the Civil War, a section base for the U.S. Navy during World War II and a prisoner-of-war camp. 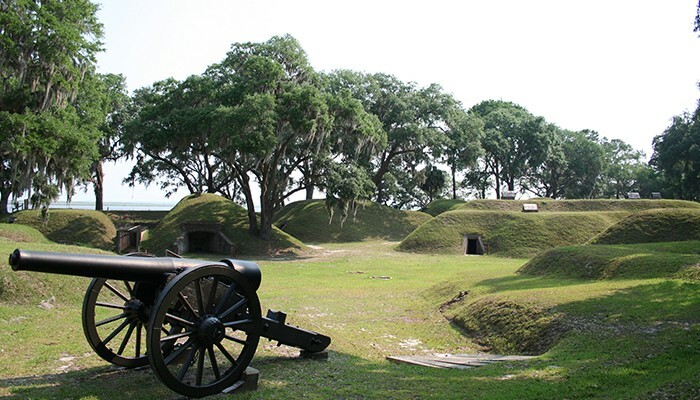 A few miles up the Savannah River is Old Fort Jackson, the fort closest to downtown. 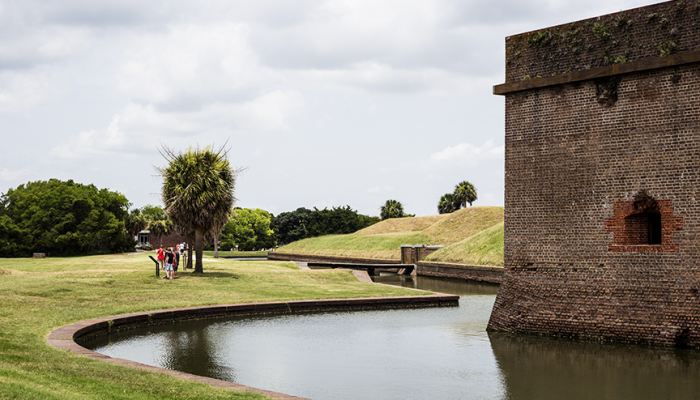 Its strategic location allowed guns to open fire on any vessel entering Savannah. 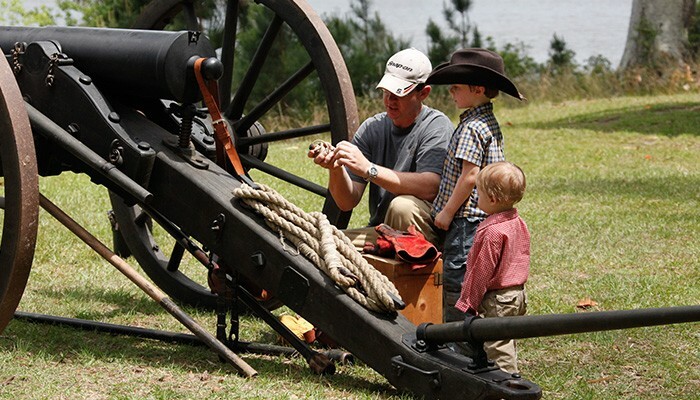 To get the full experience, be sure to catch the fort’s cannon-firing programs, presented daily at 10 a.m. and 2 p.m.
About 20 miles north of the Historic District, Fort McAllister invites visitors to explore their 1,725-acre state park that boasts a rich Civil War history. 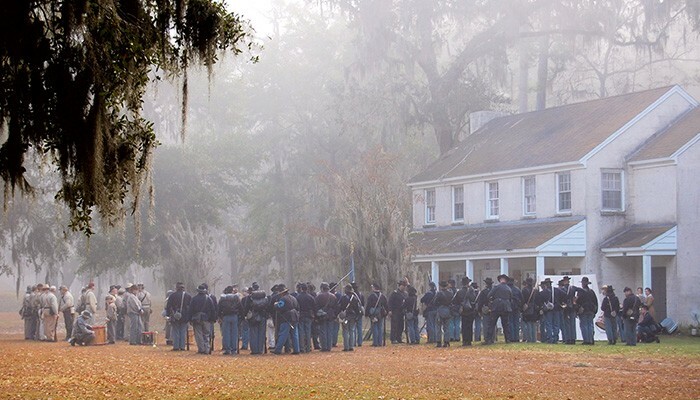 Added to the National Register of Historic Places in 1970, the fort houses a museum specializing in Civil War artifacts and welcomes visitors daily. 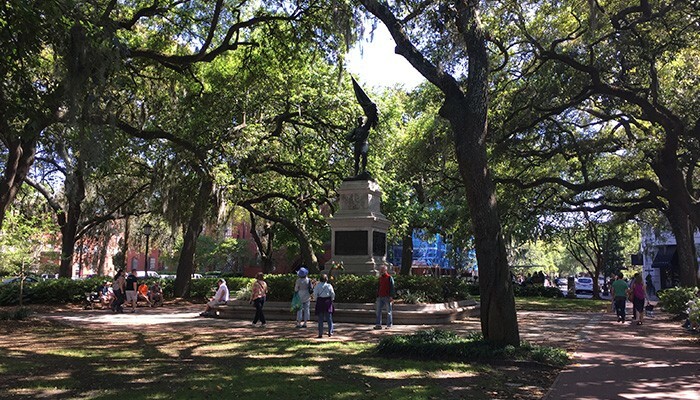 When Savannah was established, it was laid out on a grid system, with homes and business opening to squares. 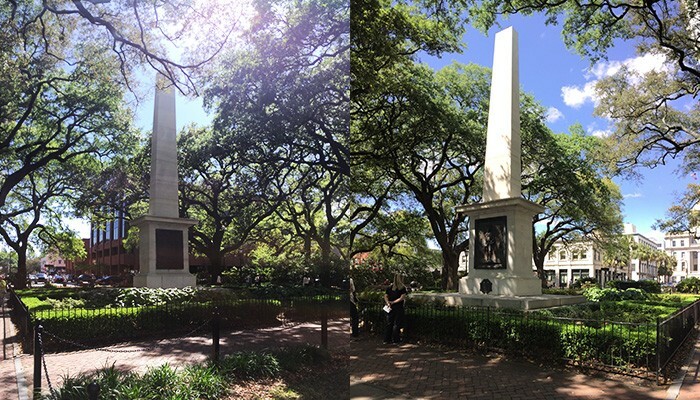 Over the years, these patches of greenery have come to hold some magnificent monuments sharing stories of Savannah’s past. 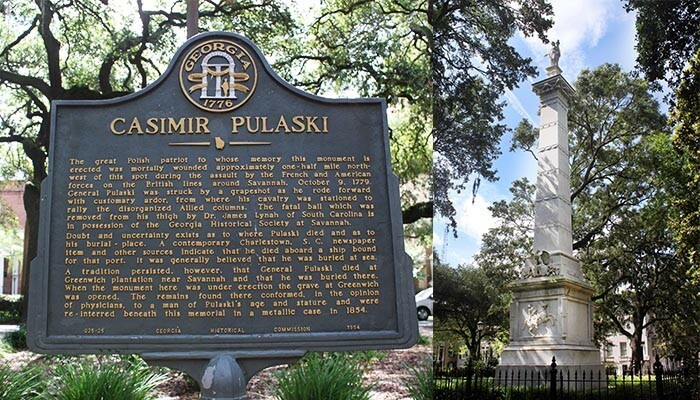 With 22 throughout downtown, it might be hard to visit them all, but there are a few that shouldn’t be missed: Tomochichi’s monument in Wright Square, Casimir Pulaski Monument in Monterey Square, Sergeant Jasper Monument in Madison Square and 50-foot white marble Nathanael Greene Monument in Johnson Square.